Is it someone’s birthday today? 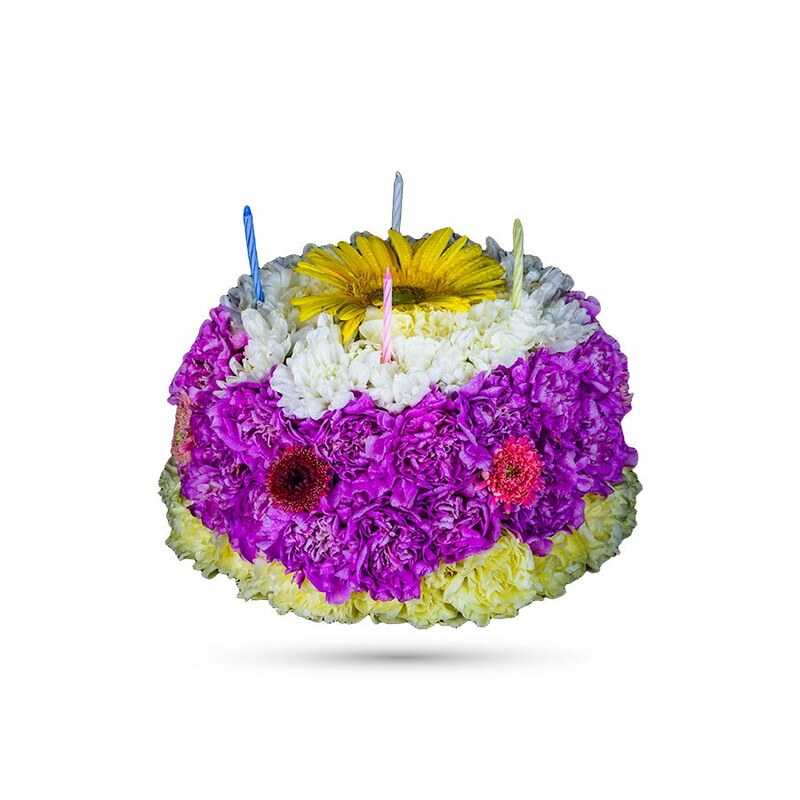 For a petite treat that’s awfully sweet, send someone you love our adorable “Fresh Flower Cake” made of fresh flowers, topped with a real birthday candles! Tell them to blow out all the candles on our fabulously styled cake, and all of their wishes will come true! 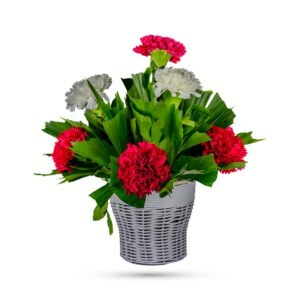 A pave arrangement of fresh flowers such as gerberas, miniature carnations and chrysanthemums – in shades of red, purple, yellow and white – is designed into the shape of a cake, and topped with four candles and one yellow Gerbera. 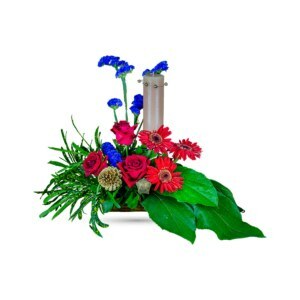 The bouquet is made entirely of fresh flowers, this delightful cake will really make his/her day special. Our charming cake that’s fun, bright and just right for anyone who’s celebrating a birthday, anniversary or any occasion that might benefit from a cake made of bright blossoms! 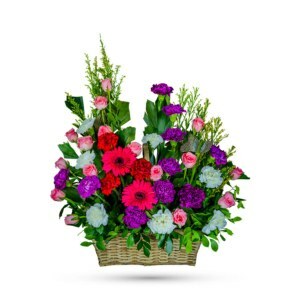 Perfect for office birthdays, or as a “thinking of you” present, this tasteful arrangement can be ordered online on our website and will be hand-delivered. Tell the birthday boy/girl to make a wish on these candles now!